How much is a Fraser island vehicle permit? All vehicles going to Fraser Island must have a permit to go to the island. Only four-wheel drive vehicles are permitted on the island and permits must be clearly displayed on the windscreen. All-wheel drives are not recommended as the terrain is difficult and can be rough. Access permits cost $51.60 for one month or less, or $259.50 for more than one month, lasting up to a year. Permits must be purchased before going to the island. Other fees to consider when driving to Fraser Island include ferry costs and camping fees, depending on what type of tour you are planning. Ferry pricing to get on and off the island ranges from $120 -$175 per vehicle for a return journey from either River Heads or Inskip Point, while camping permits are $6.55 per person per night with discounts for families or students. Camping fees are site specific and can be booked up for 6 months in advance. Visitors will also wish to purchase these before they come to the island. If you are visiting Fraser Island on a tour, such as guided or tagalong tour, you will not need to purchase any permits. National Park fees may apply and are payable to your guide. 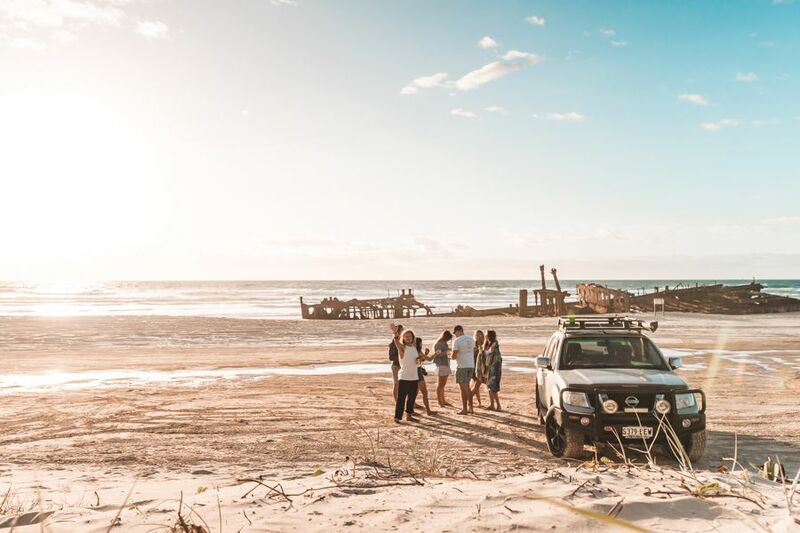 In the event that you are planning to visit Fraser Island in your own vehicle, you should ensure you have all the proper permits before making your way to the island. It's a good idea to familiarise yourself with the rules of driving on the island as all road rules apply (even on the beach) and research what kind of things you will need to bring with you. Those wishing to purchase a permit can do so online through the Queensland government website, over the phone (13 QGOV), by visiting a self service kiosk or by going to a booking office.